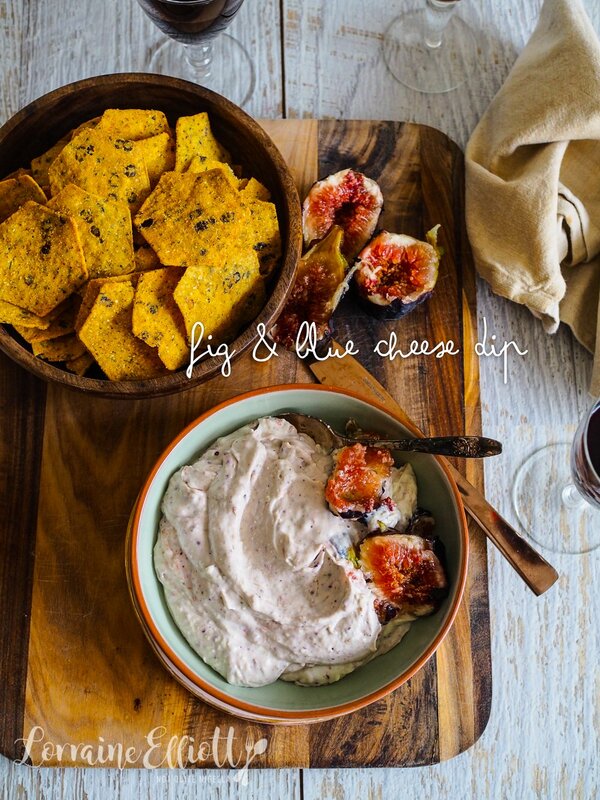 A Sublime Fig & Blue Cheese Dip! 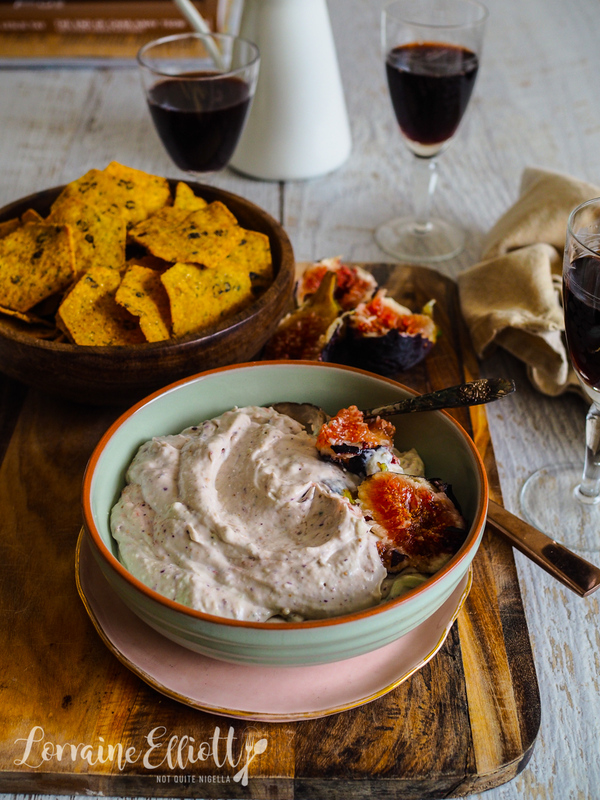 If you're a big fan of figs and blue cheese you simply must try this dip (and yes I'm getting pushy here). It's creamy, smooth, and appealingly sweet and salty at the same time! I rarely buy dips because I know how easy they are to make. This way, you get to put in more of your favourite ingredients like figs and less filler. And this makes a lot of dip, enough for 8 guests to nibble on before dinner! Fig season is my favourite fruit season and this year, the figs have been wonderful. Our fig tree has gone to my parents' house because I am unable to care for plants (there was an intervention ;) ) and hasn't really fruited unfortunately. But I try to make up for it by buying lots of figs. Usually the ones that are pre-packed are a bit dry or have a few dry ones but they've been unusually luscious so I keep buying them which means that there is never a shortage of figs here. Which brings me to what else is in my kitchen with this month's In My Kitchen hosted by the darling Sherry from Sherry's Pickings. I was lucky enough to be sent Koko Black's entire Easter collection! 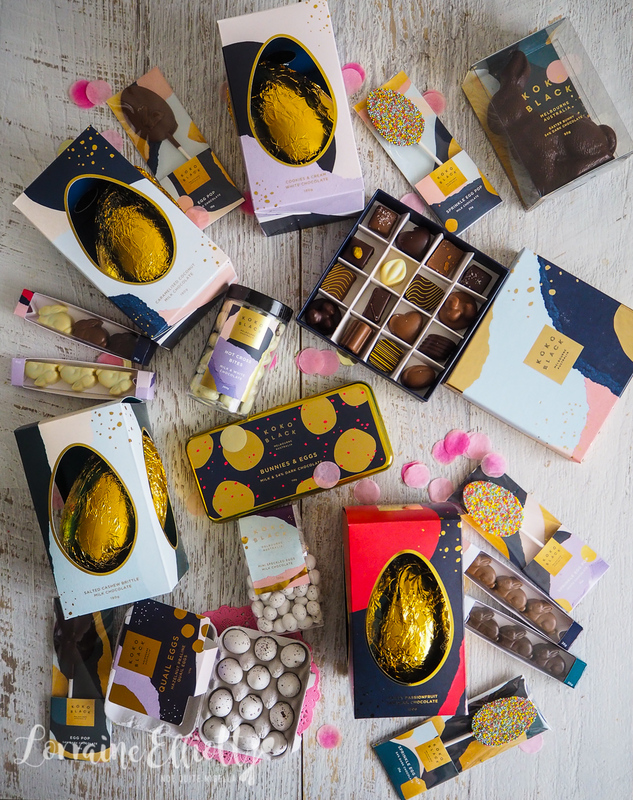 I was especially intrigued by the salted cashew nut brittle egg and the caramelised coconut egg and it goes without saying that the hot cross bun bites are just about my favourite thing ever with all of those lovely spices! And I also love those lollipops which I used to buy every time I would be in Melbourne (although you can buy them online). I was super excited to receive this Lodge pan from my friend Ivy. I actually almost bought it when I was in Texas but didn't because I saw it at the beginning of the trip and thought that I'd see another at the end (I didn't). 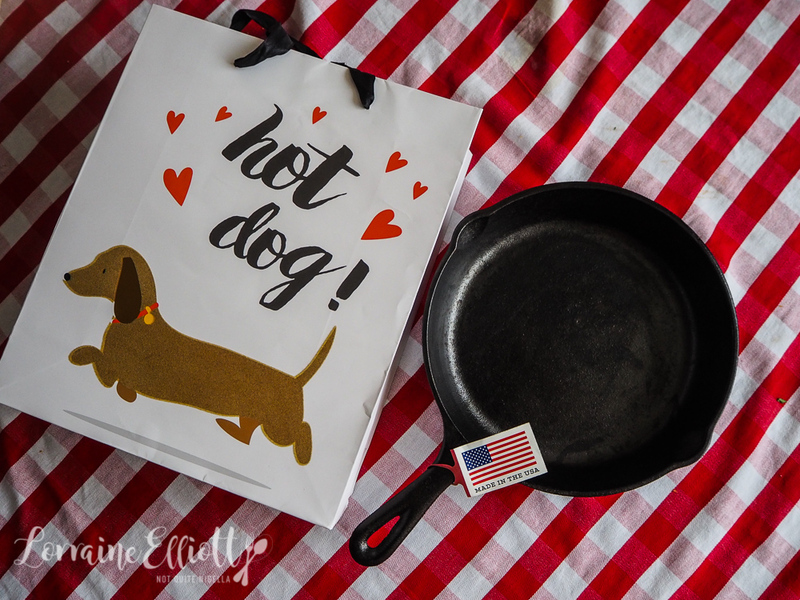 It's great quality cast iron made in America and the sort of heirloom item that you keep for many years. 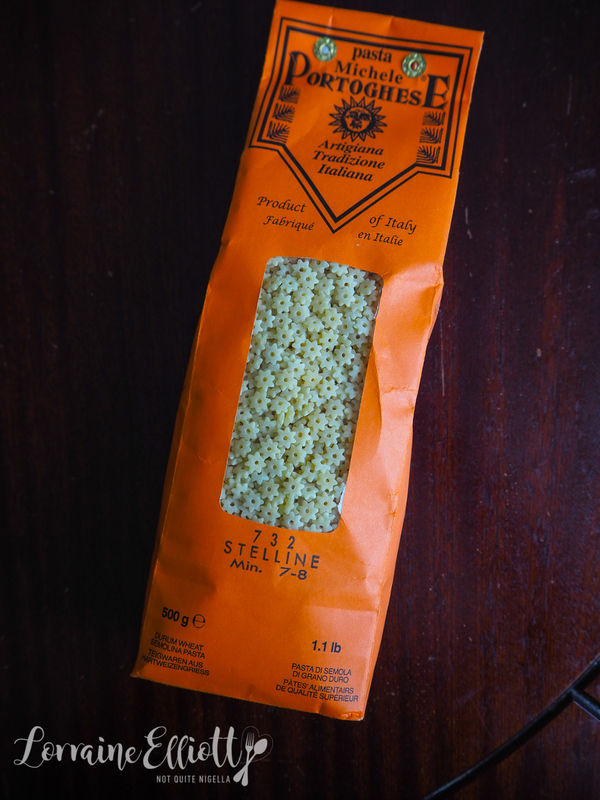 I bought the next item just because I love unusual pasta shapes. These are tiny stelline or star pasta shapes. These are usually served in chicken broth so I'm sure these will come in handy when the cooler weather starts. 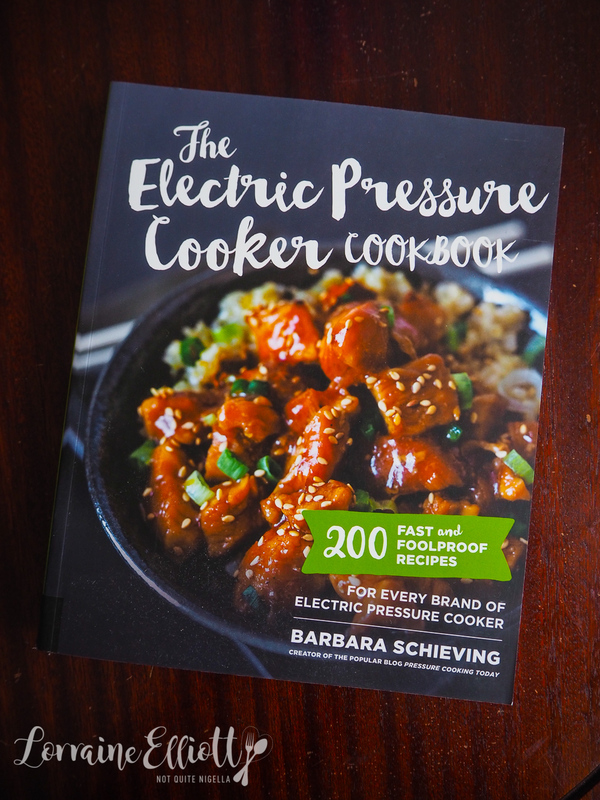 I hope you're all having a wonderful weekend and have some new and delicious things in your kitchen! So tell me Dear Reader, what do you have in your kitchen? What is your favourite fruit season? Step 1 - Combine the cream cheese, blue cheese, mayonnaise, garlic clove and 1 fig in a food processor and process until smooth. Roughly chop up the other fig and fold it in. Serve with crackers. recipeA Dear Reader Recipe: Easy Jalapeno Sour Cream Dip! recipe A Dear Reader Recipe: Easy Jalapeno Sour Cream Dip!